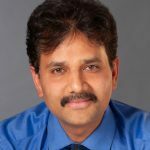 Dr Hapani finished his graduation M.B.B.S in 1997 from India and then continued his professional career in Middle East where he Primarily worked in Emergency and Medical wards. He was awarded M.R.C.P (UK) from Royal College of Physicians of United kingdom in 2006 after he finished his advanced training in Internal Medicine (UK). Dr Hapani worked in a Haemato-oncology Department for an year prior to moving to Australia. He started his Emergency Medicine training at Monash Medical centre in 2007 but was interested to work as a Rural Generalist. Dr Hapani has worked in all states of Australia as Rural Generalist / Senior Medical Officer and finished his FRACGP and FACRRM training with advanced credentialing in Emergency Medicine in 2011. He also completed his Fellowship in Advanced Rural General Practice in 2012 along with D.C.H (Paediatrics) in 2013. Dr Hapani has worked intensively in Indigenous Health during his Rural Generalist training and has developed expertise in chronic disease management. Since 2012 Dr Hapani has been working Primarily in General Practice with special interest in Regenerative, Photomedicine and Mental Health. He is currently progressing towards Diploma in Cosmetic Medicine through Australasian College of Aesthetic Medicine (ACAM). Royal College of Physicians of United Kingdom since 2006.